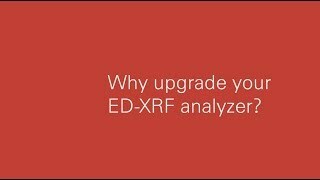 Energy dispersive X-ray fluorescence technology (ED-XRF) provides one of the simplest, most accurate and most economic analytical methods for the determination of the chemical composition of many types of materials. It is non-destructive and reliable, requires no, or very little, sample preparation and is suitable for solid, liquid and powdered samples. It can be used for a wide range of elements, from sodium (11) to uranium (92), and provides detection limits at the sub-ppm level; it can also measure concentrations of up to 100% easily and simultaneously. SPECTRO is a world leader in the manufacture of energy dispersive X-ray fluorescence spectrometers. In recent years, SPECTRO has set standards by further developing X-ray fluorescence technology to create many new fields of operation for ED-XRF spectrometers. The company offers a complete range of X-ray fluorescence portable spectrometers such as the small handheld XRF, xSORT and the SPECTROSCOUT, a portable spectrometer that brings lab-grade analysis into the field. SPECTRO also brings to market a broad range of bench-top ED-XRF spectrometers for special elemental analysis tasks to multi-purpose laboratory spectrometers for trace element analysis, and a wide range of on-line solutions – whatever your specifications, we can meet them. The SPECTRO MIDEX MID05 small spot energy dispersive X-ray fluorescence (ED-XRF) spectrometer is optimized for precious metal testing. Watch video demonstrations of the XRF Spectrometers – or click here to switch to SPECTRO on YouTube.com. XRF-78: Analysis of Galvanized Steel with Surface Defects Energy dispersive XRF has been used for many years as a nondestructive procedure for the analysis of coatings. The third generation SPECTRO MIDEX is the logical continuation of an instrument concept established by its predecessor. The SPECTRO MIDEX makes it possible to analyze many different elements with a single small excitation point.